It should come as little enough surprise that Vikings had coins; very few cultures exist in history today that did not possess some form of currency, in one way or another and the Vikings are no different in this regard. And here, we carry an array of Viking coins. 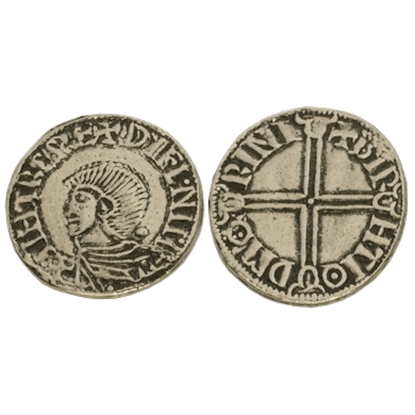 Given that most currency was made from gold and silver, most Vikings dealt with not only their own currency, but the currencies of many groups Vikings were not only raiders but also well-known as traders and explorers, after all. 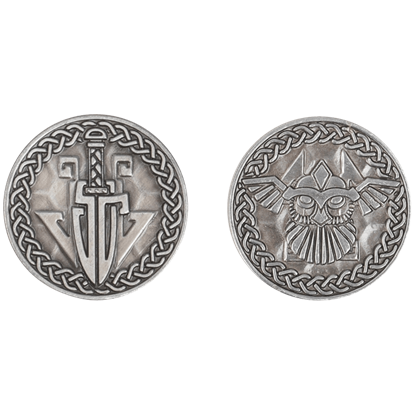 Our own Viking coins are made from pewter and feature antique-plating, and most come in the denomination of the penny, which was one of the most common forms of medieval currency. 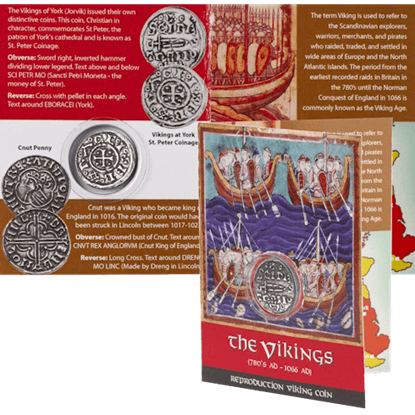 Our Viking coins are fantastic for use: they are great pieces of false currency to use during re-enactments or events; they also make for superb gifts to collectors, gamers, and children of all ages. This Set of Viking Coins is a mix of 25 lots of 2 different reproduction coins, 25 each of the Sithric penny and Vikings at York penny. All of these coins are made from pewter that is antiqued for a rich silver finish. In 1000 AD, Leif Ericsson sets out to form a colony called Vinland in what is thought to be modern-day Newfoundland or New Brunswick. This Leif Ericsson Silver Penny is a fantasy coin inspired by the man and his daring endeavor. 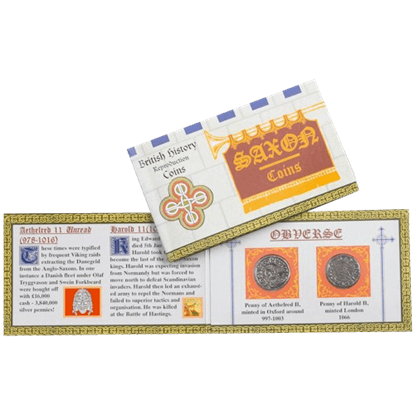 This wallet type Saxon coin pack contains a reproduction Penny of Aethelred II and a Penny of Harold II, both made from lead-free pewter. On the inside cover there is historical information about Aethelred II and Harold II. No matter what realm your adventure takes place in, you are sure to fare better with the right currency on hand. 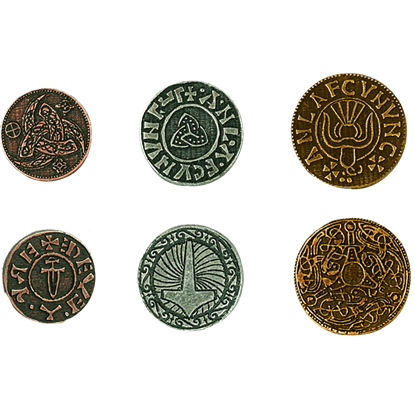 Invoke the power of a Norse warrior when you add the Set of 10 Copper Viking LARP Coins to LARP or tabletop gameplay. A battleaxe may certainly be a powerful tool of persuasion, but a handful of gold coins is often just as powerful. 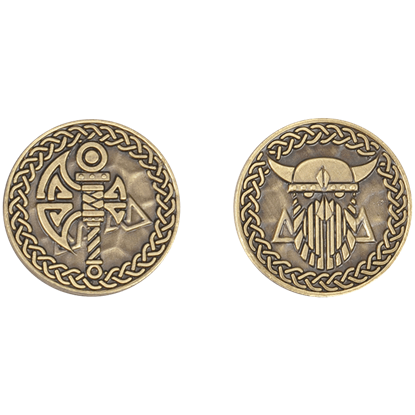 Take the Set of 10 Gold Viking LARP Coins along on your next Viking raid for immersive LARP or tabletop gameplay. Get swept away into a world of Norse saga and myth when you incorporate the Set of 10 Silver Viking LARP Coins into your fantasy gameplay. 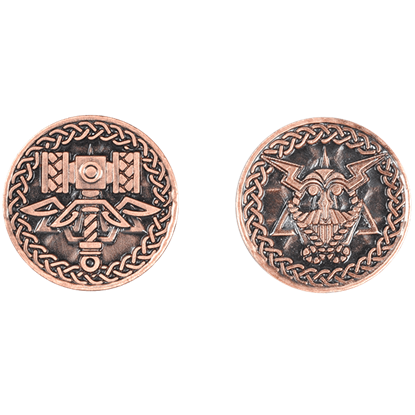 Each coin in this set is boldly detailed with designs inspired by ancient Viking culture. 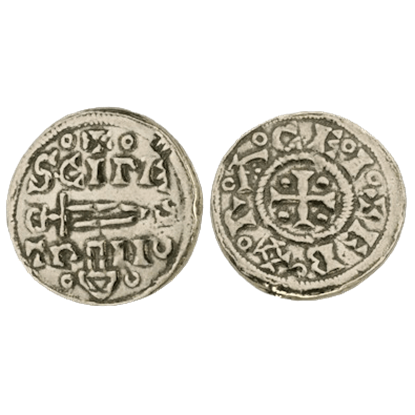 This reproduction Viking penny of Sithric depicts a draped bust on the obverse and a long cross on the reverse. These Sithric Viking Penny Replica Coins come 10 in a pack and is great for Viking collectors. This reproduction Cnut Penny coin is made from lead-free pewter. The coin has the crowned bust of Cnut on the obverse and a long cross on the reverse. It is a great collectible for Norse buffs and enthusiasts. While pillaging can be fun, sometimes it is nice to just go get your food and furs at the local market instead, where a civil interaction can yield as much profit as a brutal raid. 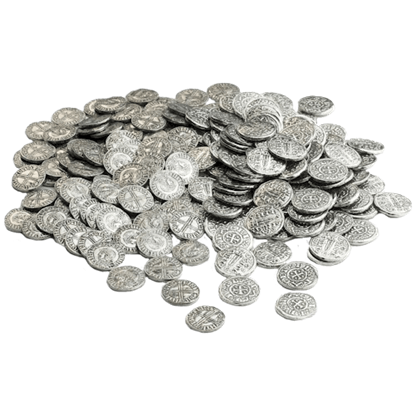 Go prepared to bargain with the Viking Coin Set. This classic style leather pouch was worn for hundreds of years. 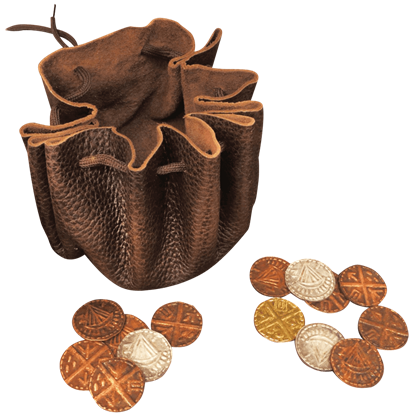 Inspired by the drawstring pouch found in the Hedeby trading settlement excavations, this Viking Leather Pouch with Coins makes a great addition to your medieval kit. 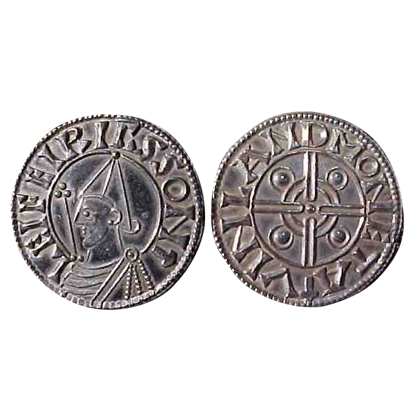 This reproduction Vikings at York St Peters Coinage is made from lead-free pewter. The coin has a Viking sword and hammer on the obverse and a cross on the reverse. It is a great Viking themed collectible. This reproduction penny coin displays a sword between text on the obverse and cross with text around it on the reverse. 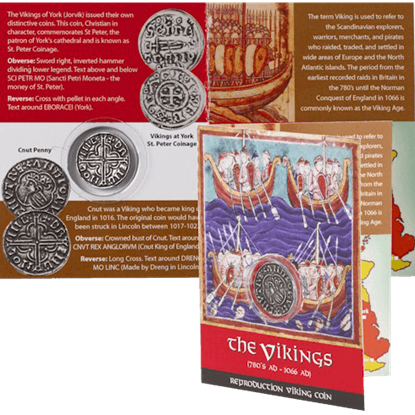 These Viking Coins are great for kids of all ages, collectors, gamers, and living history groups.